How tall is Dave East? Dave East was born as David Brewster Jr. in East Harlem, Manhattan, New York, USA (June 3, 1988). David played basketball in the Amateur Athletic Union before his music career. His debut mixtape “Change of Plans” came in 2010. Then Dave East has released several mixtapes and been featured in some other artist’s songs, like Fabolous. He gained fame with his seventh mixtape, Black Rose which was released on July 22, 2014. David has a girl who born in March 2016. Dave East has over 33K followers on SoundCloud as of September 2016. What record label is Dave East signed to? Mass Appeal Records, RED Distribution and Def Jam Recordings. How much does Dave East weigh? He weighs 187 lbs or 85 kg. Who with did Dave East collaborate? 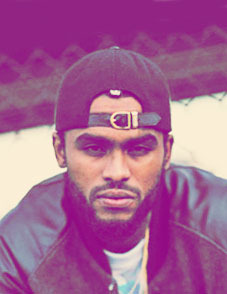 Dave East has collaborated with several rappers such as Nas, BJ The Chicago Kid, Trey Songz, Mac Miller, Future, Statik Selektah, Fat Trel and Skeme.